Momiji is a registered charity. Charitable registration number 107716623-RR0001. All donations of $20 or more will receive an official income tax receipt and will be recognized in Momiji’s newsletter Momiji Matters, unless advised otherwise. Donor privacy is respected and all personal information is kept confidential. 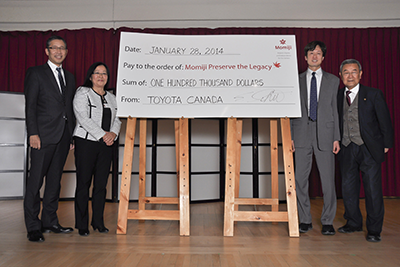 In person: At Momiji’s reception you can make a donation by cash, cheque or credit card (VISA or MasterCard). By mail: Make your cheque payable to Momiji Health Care Society and mail to: Momiji Health Care Society, 3555 Kingston Road, Scarborough, ON M1M 3W4. By phone: Use your credit card (VISA or MasterCard) and call 416.261.6683 x 259. Online: From momiji.on.ca use CanadaHelps.org’s secure server to make a credit card donation (VISA, MasterCard or AMEX) or Paypal gift. Your tax receipt will be immediately emailed to you. Making a monthly donation is easy and affordable. For as little as $5 per month, you can make a regular donation, saving you time and postage. With this flexible option, you can easily increase or stop your donations at any time, just by calling our office. Monthly donations save us money as well since we will only send you a tax receipt once a year for your total gifts. These gifts also allow us to set more predictable budgets. Memorial donations are a meaningful way to honour the life of someone special who has passed away. Once you have made a donation, we will inform the deceased’s family of your gift by including your name and donation amount on a list of donors. If you wish to remain anonymous, please let us know. If a loved one has recently passed away, please consider including Momiji Health Care Society as one of your charities of choice in the obituary notice, in lieu of people sending flowers to the funeral. Has someone provided you with invaluable service, or has truly made a difference? Consider making a donation in honour of that special someone. It will be our pleasure to inform the recipient of your generous gift. Donating publicly listed securities can be a very attractive way to make a substantial donation while eliminating the capital gains tax on these gifts. But as with any large donation, it is best to speak to a professional financial planner before deciding if this type of donation is right for you. After consulting with a financial planner, the easiest way to make a gift of stock is to transfer the shares electronically from your account to Momiji’s account. The value of the receipt is based on the trading price at the end of the day that the shares are received into Momiji’s account. And perhaps best of all, you will no longer have to pay any capital gains tax. Gifts of Securities can also be made via your will. There are hundreds of companies in Canada that will match donations made by their employees to organizations like Momiji. This is a simple but effective way to increase the impact of your gift. All you need to do is contact your human resources, personnel or community relations office for more information and the matching gift form. Send the completed form in with your donation to Momiji. We will confirm that the gift has been received and will return the necessary paperwork back to your company. We will then receive a cheque from your company. In addition to employees, some companies match gifts from spouses and retirees. Legacy Gifts are well planned, tax-preferred gifts that often require a great deal of thought. Most legacy gifts are in the form of a gift in your will (a bequest) but there are other ways that you can make a difference. You can make a substantial gift to Momiji Health Care Society with relatively little upfront cash (or even no cash, if an existing policy is donated) simply by naming Momiji as the beneficially, or owner and beneficiary of a new or existing life insurance policy. 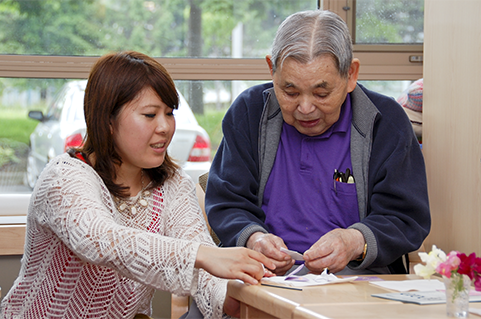 Name Momiji Health Care Society as the beneficiary of a life insurance policy. Your estate will receive a tax receipt for the proceeds of the policy. 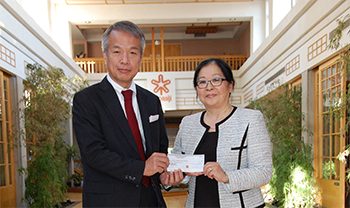 Transfer ownership of a paid-up policy with Momiji Health Care Society named as the beneficiary and you can receive a current tax receipt for the fair market value of the policy or defer the tax receipt for your estate. Transfer ownership of a partially paid-up policy with Momiji Health Care Society named as the beneficiary and you will receive a tax receipt for the fair market value of the policy along with annual tax receipts for your ongoing premium payments. Take out a new policy with Momiji Health Care Society as the owner and beneficiary and receive annual tax receipts for your ongoing premium payments. 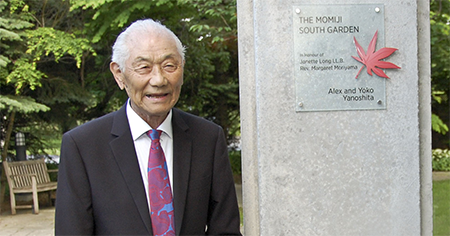 Momiji Health Care Society can be named as a beneficiary of a RRSP or RRIF. Upon your death, the proceeds will be paid directly to Momiji. You can also name your estate as the beneficiary and leave instructions in your will that all or part of your RRSP or RRIF will go to Momiji. A tax receipt for the value of the investment gifted will be issued to your estate.